= Yukari, rei no yatsu motte kite! = Yukari, bring me “that thing”! Hi everyone! Are we ready to study today? First let’s look at this kanji! 例 = rei = examples, Ex. We use it when we refer to a thing or a person without saying its or their name. It’s like the English “thingamajig”, “watchamacallit”, “you-know-what”, “what-his/her/their-name”, “the”, “it”, or “that”. You can also use this to avoid mentioning a name in public — in case you are trying to hide their identity. 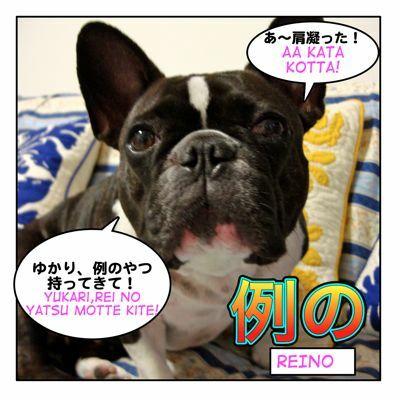 Supposedly the listener should understand what the speaker is talking about by just hearing 例の= reino something / someone. It makes things sounds more mysterious so we sometimes use it intentionally to create an aura of mystery to it. = Ima rei no shigoto de isogashiinda. = I have been busy with “that” work. = Rei no ken dounatta? = Rei no koto de chotto mometeirun desu. = I’ve been having troubles since “you-know-what”. = Rei no jiken kara kanojo wa soto wo dearukanaku natta. = She hasn’t gone out since “that” incident. = Nee rei no paatii iku? = Hey, are you going to “that” party? = Rei no ano kinou ga tsuite imasu. = It has “that” function. = Rei no kare ga kuru kara junbi shite! = What’s-his-name is coming so be ready! = Ima kara rei no tokoro ni ikimasu. = I am going to you-know-where. Occasionally we use it when we simply forget about a name. = Rei no are dounatta? = What happened to “that” thing? So what did Maggie sensei want? = Korekore! Kore ga kimochi iindaonee! = This is just thing! It feel soooo good! Can you tell what 例のやつ = rei no yatsu = thingamajig is in the picture? It is something like this. 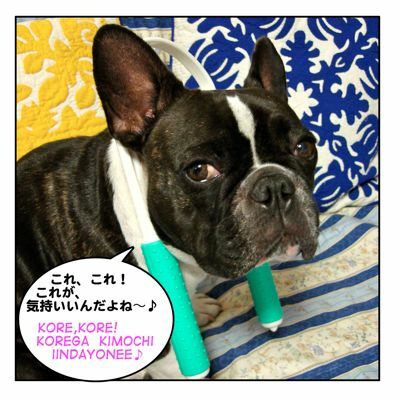 It’s a type of neck massager. It works very well. Japanese people tend to complain about their stiff shoulders = 肩凝り = katakori. Hope this helps release my tension! = Rei no saito de rei no kotoba wo oshieteiru rei no inu wa watashi desu. =I am that dog who teaches “that” language on “that” site! = Nee rei no paatei iku? Is ティ read as ‘tea’ or テイ? I’ve always read it as ‘paatii’ all this time, so I am a little confused about this. The romaji must be confusing. Maybe I should have typed “paatii”. Will fix it later. The pronunciation is “tea” in English. Hello. Thanks for this great grammar point that can make us sound a bit more natural. However I have a question regarding the connection. It seems that in some example the の directly attaches to the following noun, whereas some other times あの,あれ etc are place in between. Can you tell me more about the necessity to put it and the nuance that it introduces if optional. = Rei no anohito ga kuru kara junbi shite! First, thank you for spotting the mistake. I fixed it. Now about your question, “例のあの機能がついています” is “It has “that” that function.” and it is redundant. I got the phrase from an actual advertisement line. 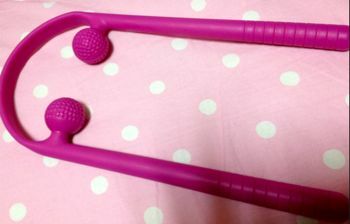 例の and あの they both are used when we can’t say what it is. It sounds mysterious yet very obvious. But it gives more impact to draw listeners’ attention. I was able to listen to your twitaudio for listening practice. it’s just that there were some sentences/words I’m not familiar with. OK, I will do that! BTW, if you are my follower on twitter, you can tweet me directly. That will be faster.